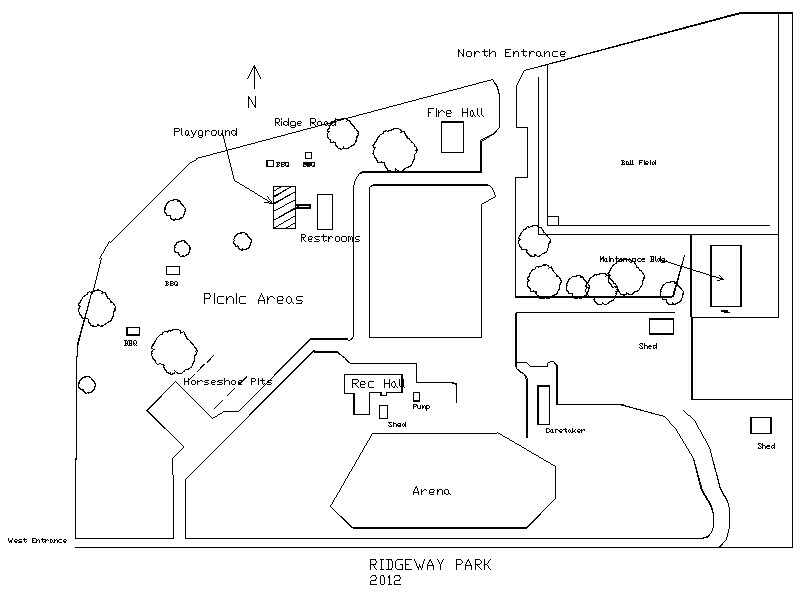 Ridgeway Park is located approximately 5 miles west of Red Bluff off Live Oak Road. The park sits on 22 acres adjacent to the radar base. There is no overnight parking or camping allowed within the park except by special permission. The park is open from 7 a.m. to 11 p.m. The park has numerous outdoor picnic tables and BBQ's available to the public on a first come first serve basis. The park has a PLAYGROUND as well as a maintained HORSE ARENA. The arena is available to the public for a small hourly fee. The newly remodeled ADA compliant RECREATION HALL is available for rental. The recreation hall has a full KITCHEN with stove, refrigerator, sink and food preparation area, a DINING ROOM, large LOBBY and GYMNASIUM. Tables and chairs are included in the rental fee. There are also two small meeting rooms that are available for rental. Click on the Fee Schedule below for rental options and rates. Use of alcohol is not permitted in the recreation hall for any event. Please refer to the Rental Agreement below. Most reservations will require a cleaning/damage deposit of $150.00. For more information please call (530) 528-1111.